You’re in the middle of an iteration and your burn down chart shows that at the current pace, your team is not going to finish all that was planned. In most organizations, this means talking to senior management and signaling the issue. Being pro-active and honest in your communication, that’s what it’s all about, right? Put some pressure on the team! They can chip in an extra percent, even if it means working some extra hours. They will finish on time if they have to! And the truth is, they probably will. So you go back to the team and deliver the message, this iteration cannot fail, we have to do what it takes! Every day of the remaining week you follow-up closely, making sure nobody wastes any time or leaves early. And on the last day your team delivers everything that was planned. Great job! You’ve got what it takes to be a team lead! You dodged the bullet and reassure yourself that this won’t happen again if you manage more closely, right? Because what happens the next iteration? We start by planning as much work as we did in the previous iteration. Why shouldn’t we? The team proved they could handle the amount of work! But after a few days, the burn down chart is almost at the same point where it started. So you gather the team and do a root cause investigation. Apparently the team cut some corners in the previous iteration and had to fix those now. On top of that, they committed to the same amount of work they did in the previous iteration, which was obviously too much. So it seems like you’re digging yourself a bigger hole, each and every iteration. How do we get out of this vicious circle, you ask yourself? Can’t we do one big tour de force? An 80 hour week sprint, just for once, to catch up? Things will be better again after that, right? If the most important tool you’re using is your mind, it has to work in a sustainable pace. Most of us are not blessed with the capability to work 80 hours a week productively. We’re cutting corners, creating defects, missing requirements, etc. So instead of getting back on track, we’re creating so much extra work, that in reality we’re drifting much farther away from home … until the team crashes or the situation explodes. 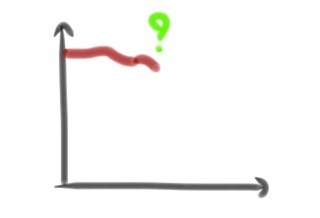 So what can you do, when the burn down chart shows that your current pace isn’t going to make it? First of all, keep your cool. Don’t start rushing, finish what you’re working on, at the same pace and quality you’ve agreed upon. Second, talk to your stakeholders and make it very clear that they probably will have fewer features. Project this into the future and show how this impacts the total release plan. But don’t forget to stress the importance of keeping the current work standards. Or would they prefer to start the vicious circle that results in much more missed features in the long run? And finally, retrospect and try to figure out how this has happened. Were your requirements not clear at the beginning? Did you waste too many time on other stuff? Is your infrastructure constantly failing on you? … Really investigate and improve to prevent. If you’re taking this seriously, you might even speed up your delivery in the long run and catch up those few missed features.